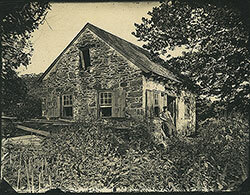 Photograph shows a small run-down stone building surrounded by trees and an unkempt garden. 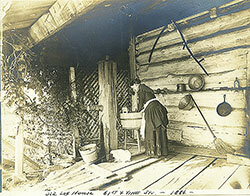 A man wearing a leather apron leans by the sill of an open window. 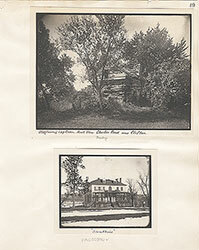 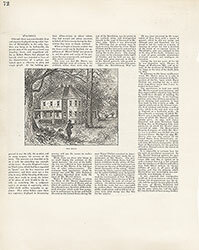 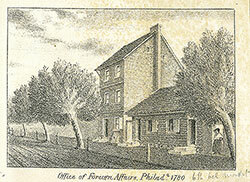 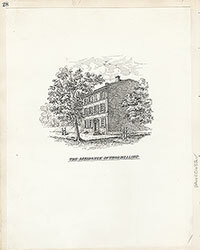 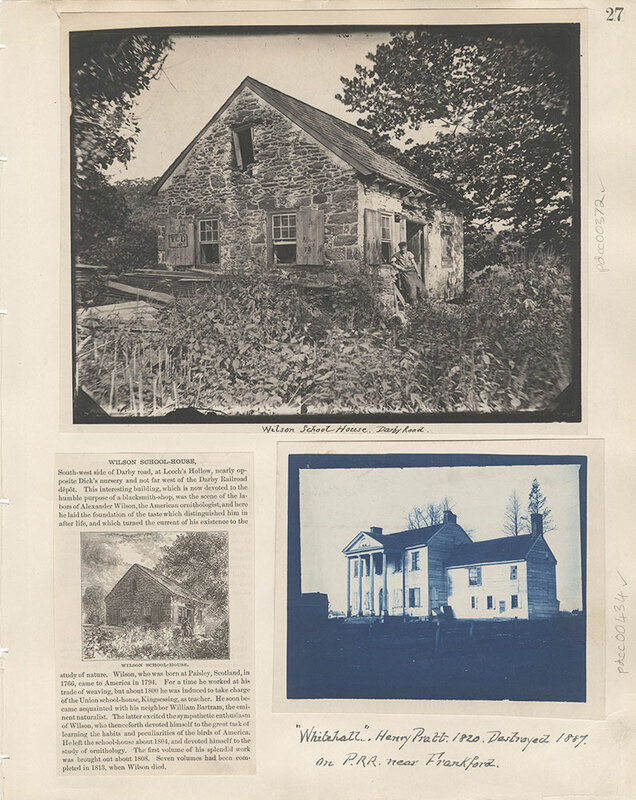 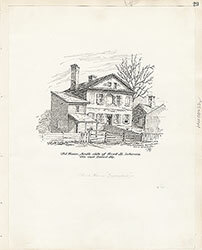 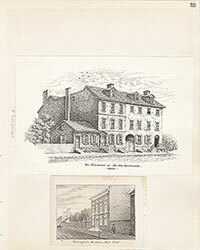 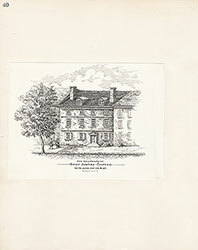 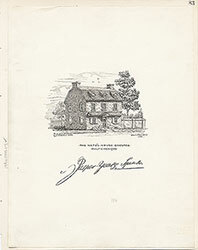 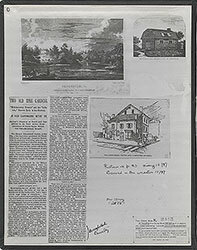 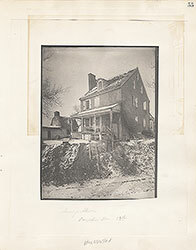 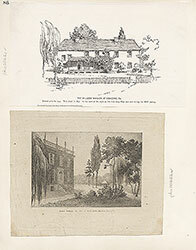 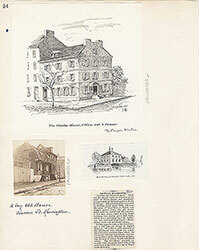 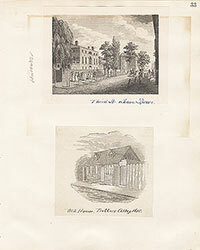 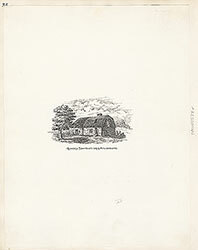 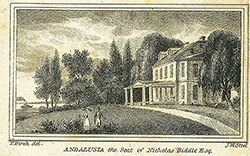 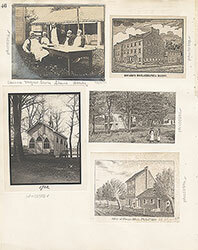 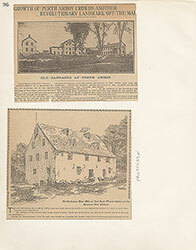 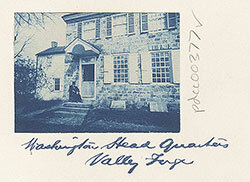 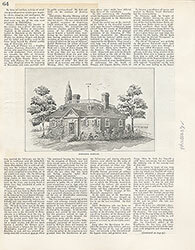 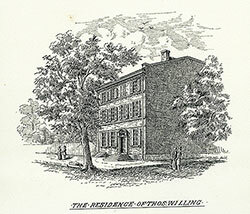 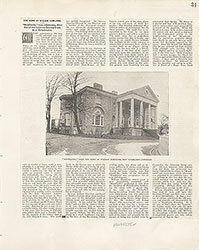 In better days, the building, situated on the Darby Road east of Kingsessing, was the Union schoolhouse run briefly by Alexander Wilson, the famed naturalist, author and illustrator of the nine-volume American Ornithology (1808-1814). 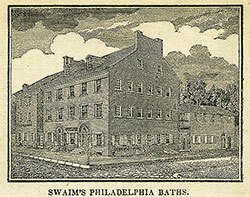 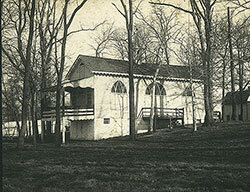 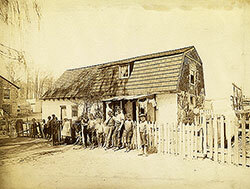 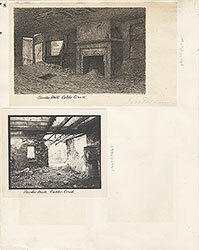 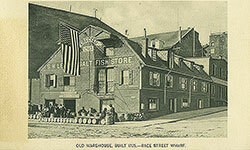 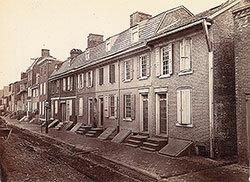 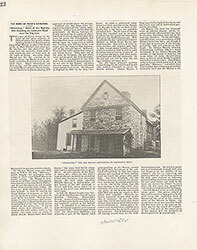 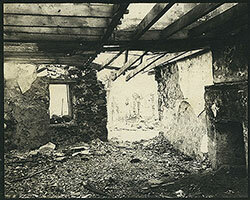 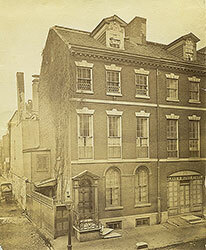 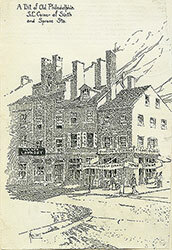 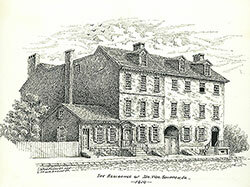 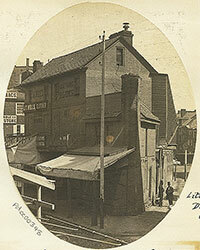 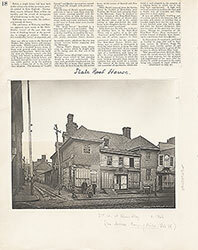 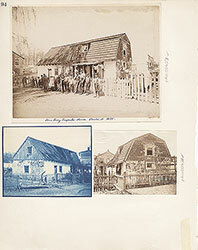 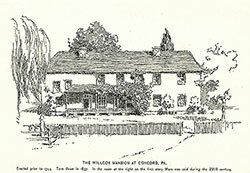 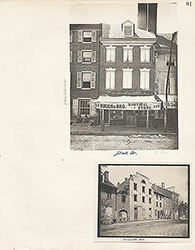 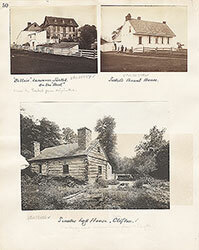 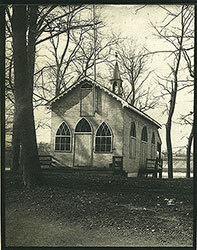 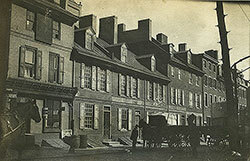 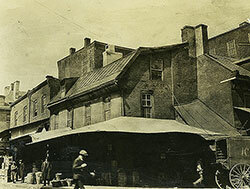 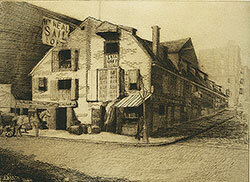 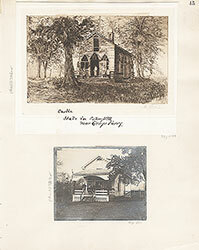 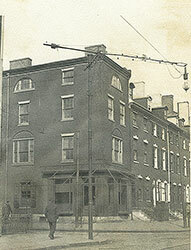 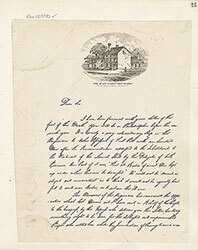 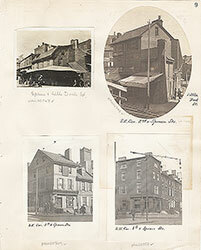 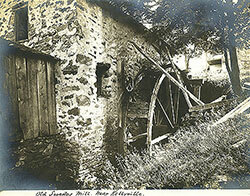 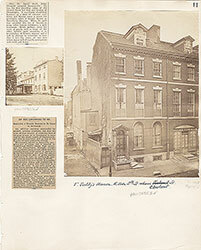 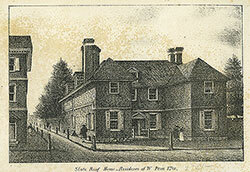 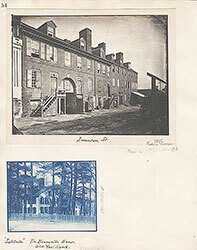 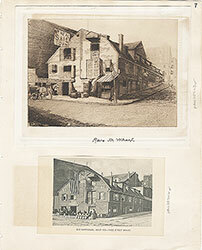 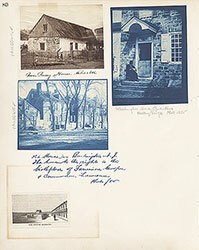 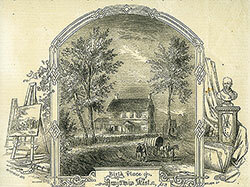 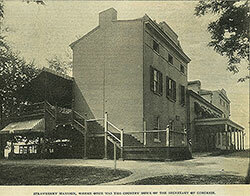 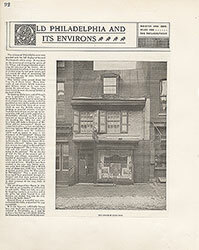 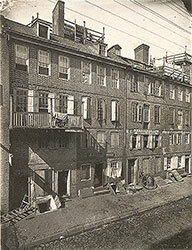 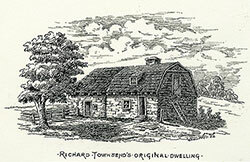 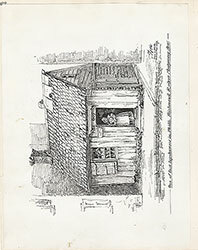 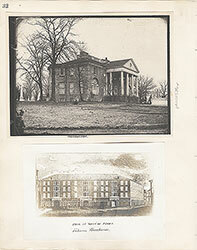 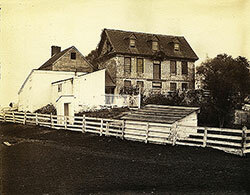 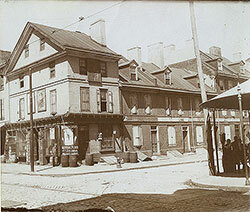 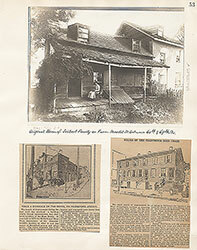 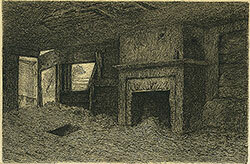 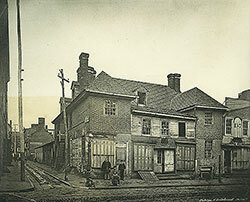 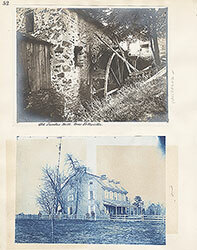 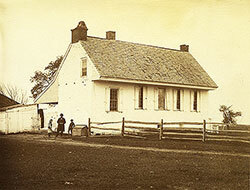 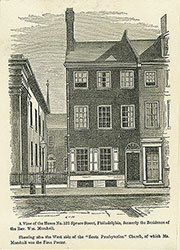 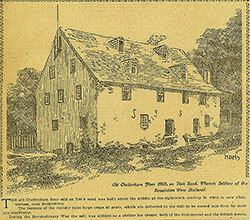 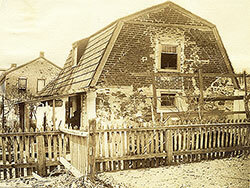 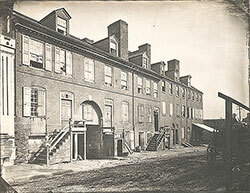 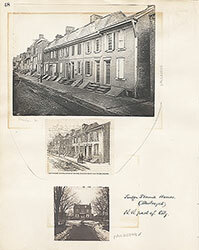 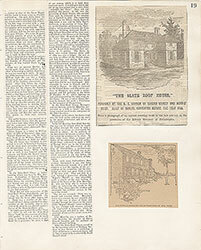 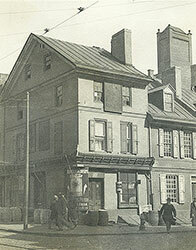 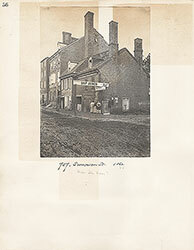 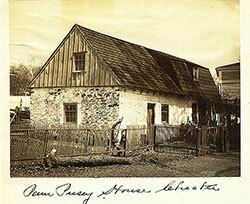 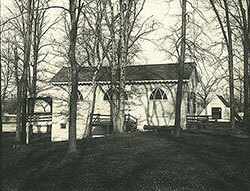 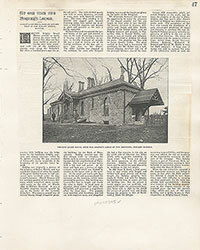 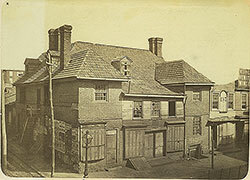 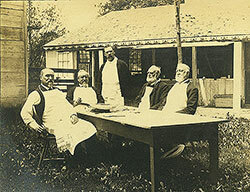 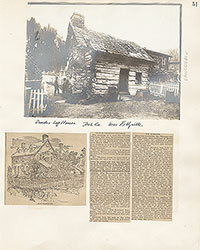 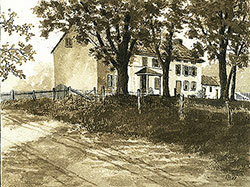 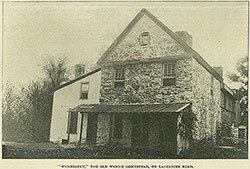 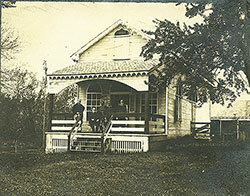 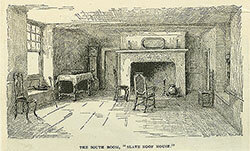 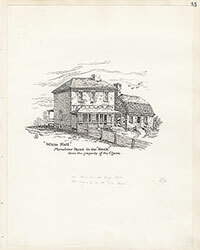 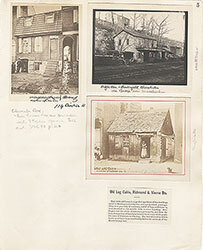 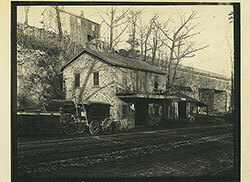 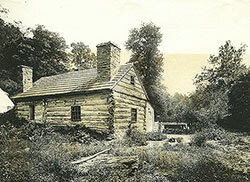 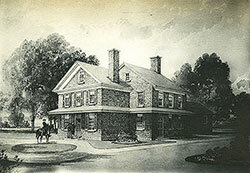 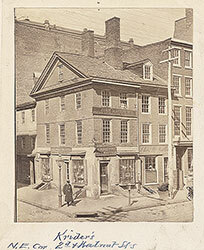 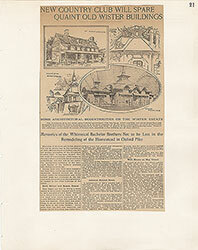 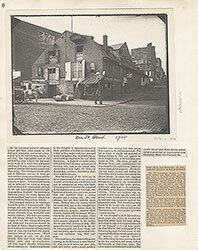 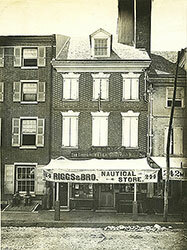 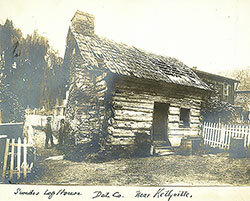 After Wilson abandoned the school in 1804, the building was used as a blacksmith-shop prior to its demolition in 1875. 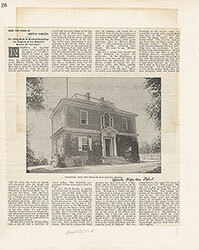 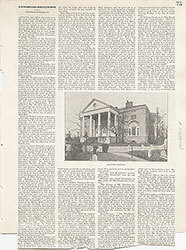 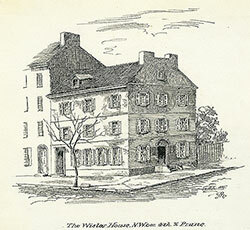 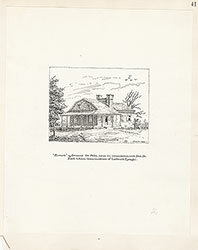 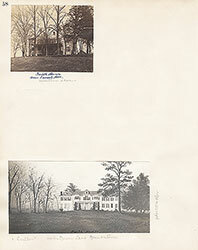 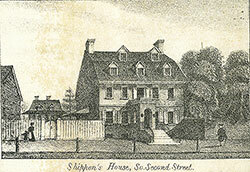 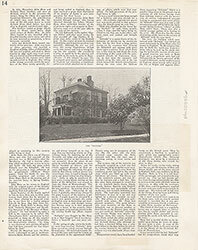 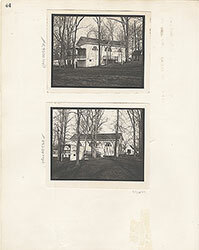 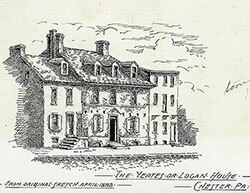 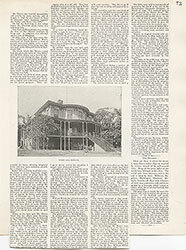 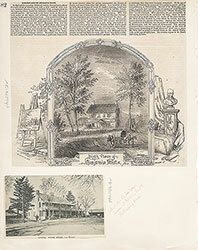 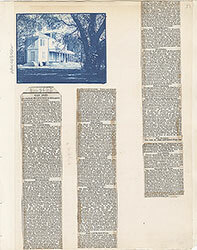 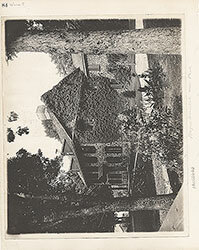 View of a two-and-a-half story white frame house, with a two-story porch supported by four huge wooden columns. 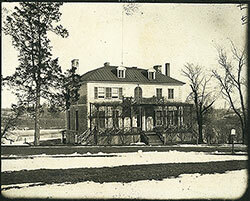 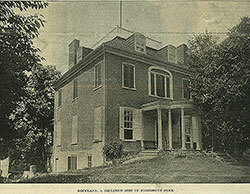 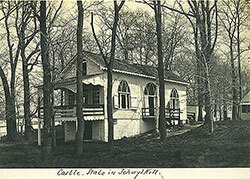 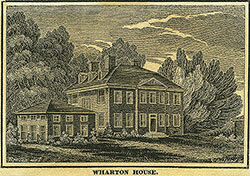 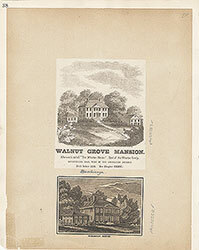 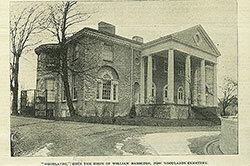 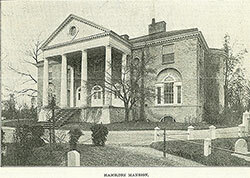 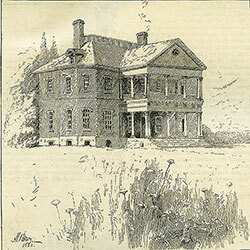 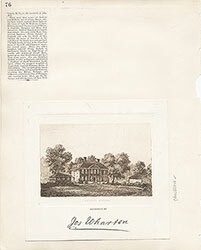 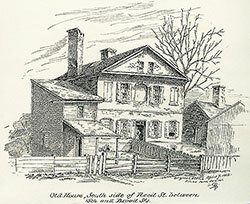 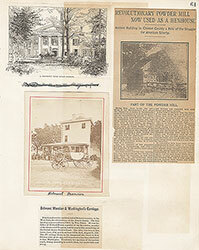 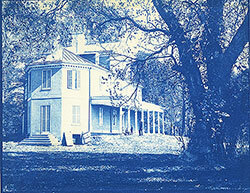 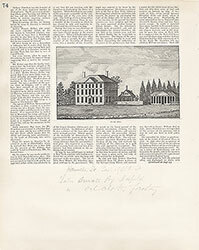 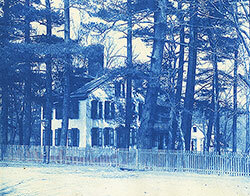 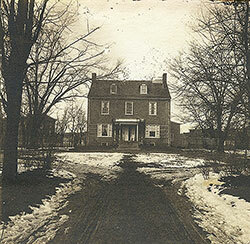 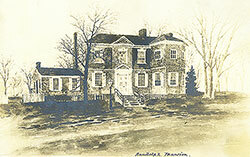 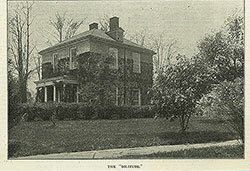 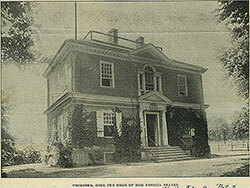 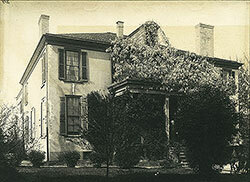 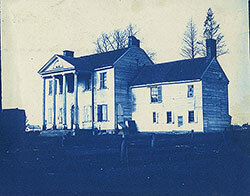 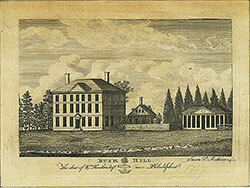 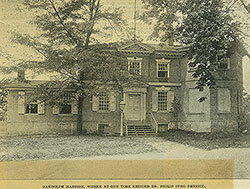 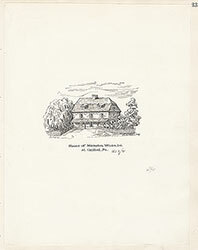 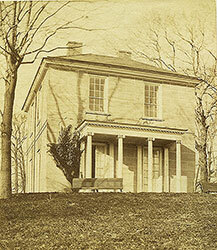 The mansion, named "Whitehall", was built in 1820 by Henry Pratt on land northwest of the P.R.R. 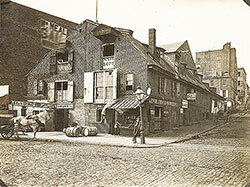 below Wakeling Street, near Frankford. 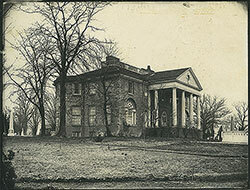 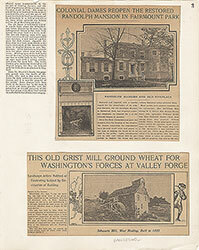 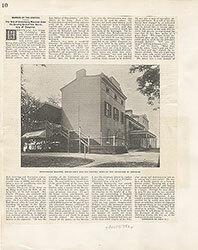 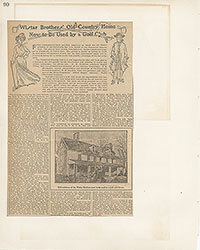 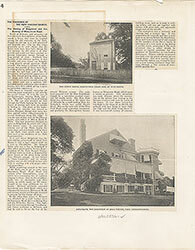 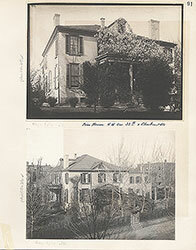 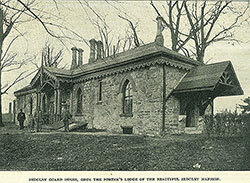 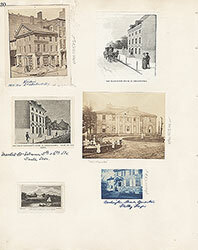 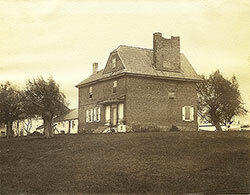 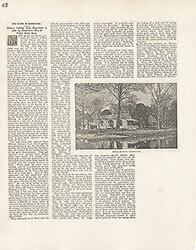 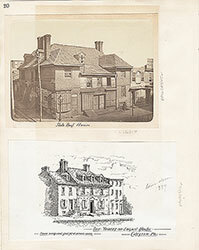 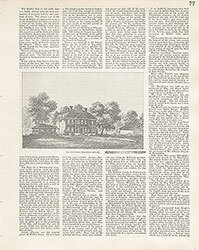 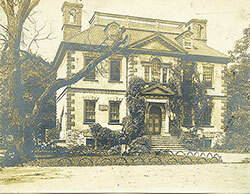 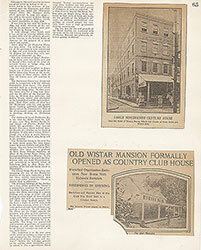 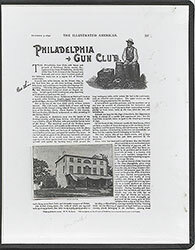 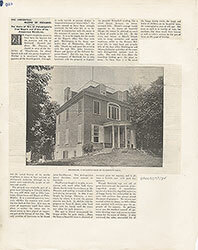 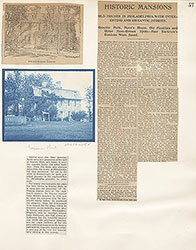 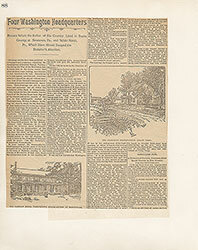 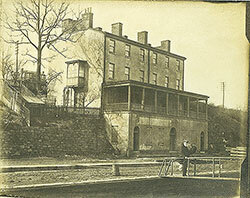 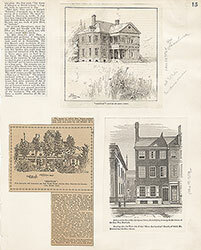 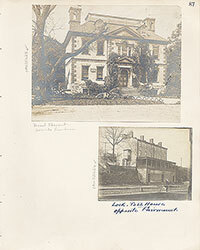 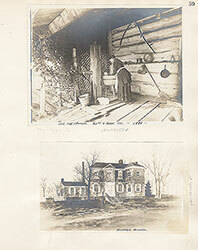 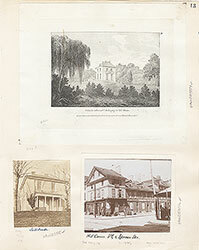 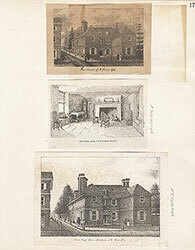 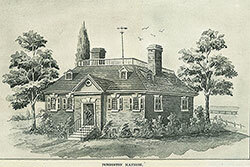 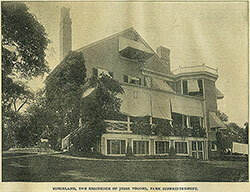 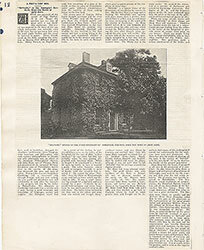 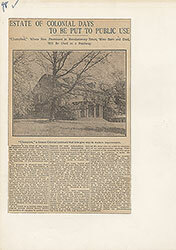 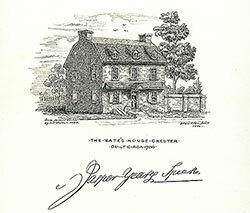 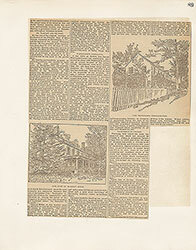 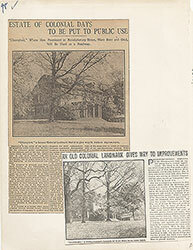 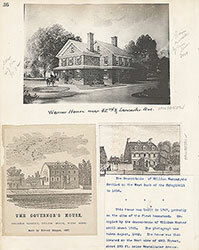 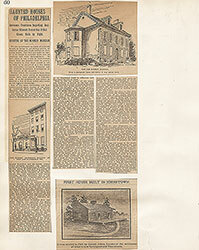 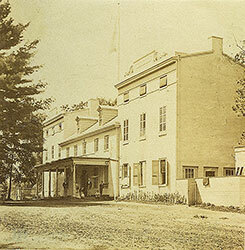 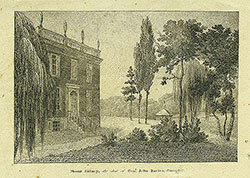 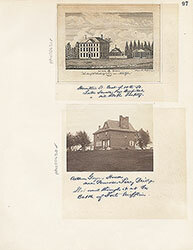 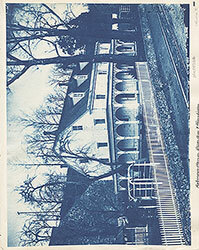 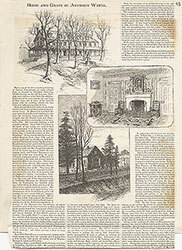 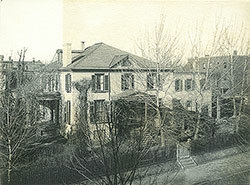 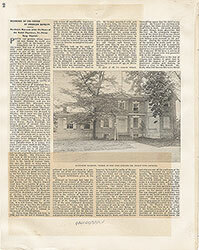 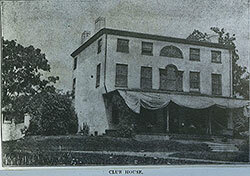 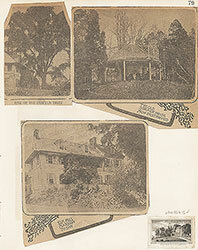 A successful merchant trader, Henry Pratt also built Lemon Hill Mansion in Fairmount Park. 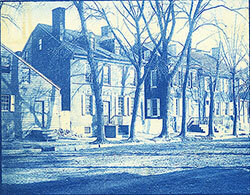 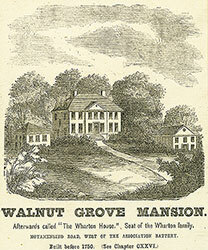 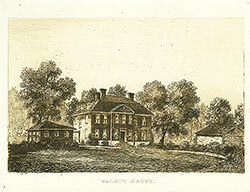 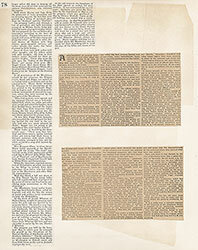 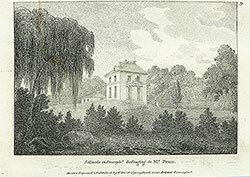 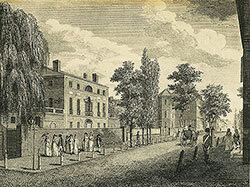 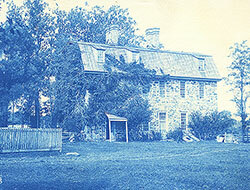 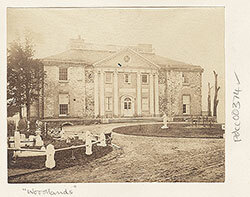 Whitehall remained in the Pratt family until 1853. 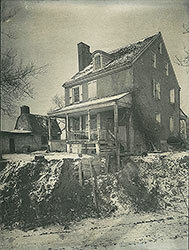 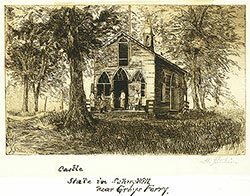 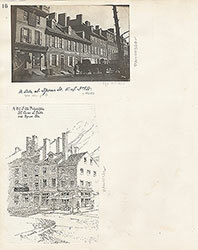 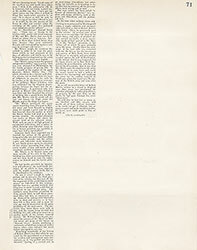 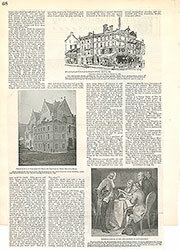 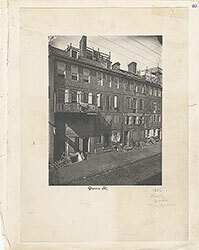 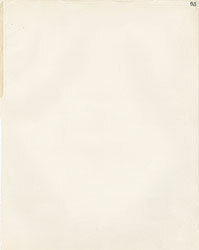 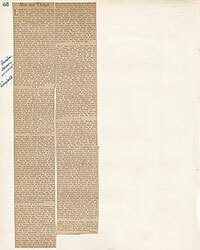 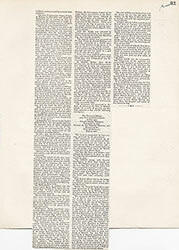 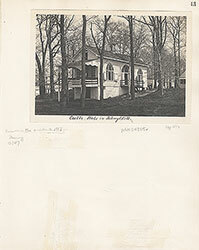 It was eventually destroyed in 1887.